A range of Ducati motorcycles will again be on show at CRC Speedshow, with the hugely popular Italian brand taking a key position among the packed-out exhibition halls at Auckland’s ASB Showgrounds. CRC Speedshow promoter Keith Sharp says he’s delighted Ducati is returning to the show for the third consecutive year. NF Importers, the New Zealand Ducati importer, hasn’t confirmed exact model line-up yet, but have plans well underway for a comprehensive display of the beautiful Italian machines at the 21-22 July show. Warren Lee, CEO, says: “We’re very excited about returning to CRC Speedshow in 2012 and we look forward to meeting many current owners, fans and of course future owners during the show. Lee also confirms that the Ducati team at CRC Speedshow will be run a competition, via iPad, offering CRC Speedshow attendees an opportunity to win fantastic Ducati gear. 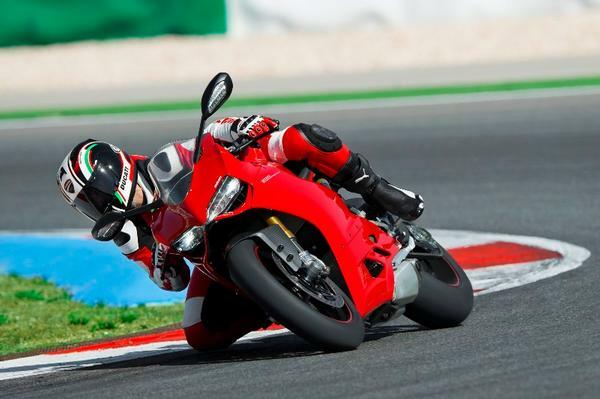 Ducati has successfully exhibited at New Zealand’s CRC Speedshow events previously in 2010 and 2011.